Welcome to Davis at the Square, a luxuriously modern apartment community located in the heart of historic Downtown McKinney, Texas. Davis at the Square offers resort-style living that you'd expect to find in a five-star hotel. These apartments for rent in McKinney, Texas feature luxury amenities including granite or quartz countertops, clean steel appliances, wood style flooring coupled with the quality craftsmanship and sophistication that you've been looking for from a luxury apartment community. Experience the kind of lifestyle you've dreamed of in an atmosphere that's not only relaxing, but offers everything that you want in your new McKinney Texas apartment home. 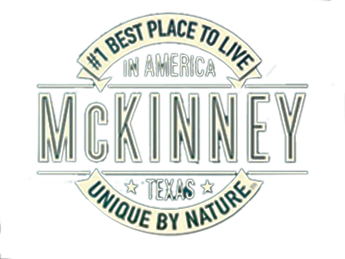 You’ll soon learn why McKinney, Texas was voted by Money Magazine as one of the top five places to live since 2010 and voted number 1 in 2014! Davis at the Square is easily accessible and conveniently located between the 151 and Highway 75. No matter where you want to go, whether it’s to work or to the area’s nearby art museums, coffee houses, or one-of-a kind restaurants the commute will seem effortless. The community features a breathtaking view of the city skyline with its many parks, lakes, and beautiful landscapes. Come see why McKinney lives up to its slogan, “Unique by Nature”. Contact us today to set an appointment and find out why living at the Davis at the Square makes McKinney the ideal place in the country to live year-round. Experience modern living in a historic location. Find out why McKinney is a great place to live. Davis at the Square features an unmatched level of comfort and taste to match your lifestyle. Take time to browse through our portfolio of bold floor plans for 1 and 2 bedrooms, studio and efficiency apartments. While you take the time to explore all of the fine details that we offer, you will find a wide range of distinctive features like wood style flooring, select granite or quartz countertops and stainless steel appliances that are the latest and greatest in technology and efficiency. You will soon discover that you have all the storage that you will ever need in finely crafted cabinetry, spacious closets, and living areas. When you’re ready to experience the distinctive quality of all that we have to offer, schedule a private tour today and see for yourself what makes luxury living in one of our McKinney, Texas apartments truly unique. These luxury apartments in McKinney Texas are conveniently located near the 121 and highway 75 so your daily commute to work will seem positively effortless. Even though the city of McKinney boasts some of the most exciting nightlife, historical sites and attractions in the state nearby, there's just nothing like being able to spend time relaxing at home. Carrying groceries inside these McKinney, Texas luxury apartments are made all the easier with keyless front door entry. Davis at the Square also offers a convenient email delivery center and car charging stations for residents to charge electric or hybrid vehicles. At Davis at the Square, you'll have exclusive access to state-of-the-art gym featuring the latest in fitness equipment. You can't beat being able to cook out any night of the week on the outdoor grills or being able to relax by the pool. Our luxury apartments in McKinney, Texas are pet-friendly without weight or breed restrictions and even wash them off at our very own dog washing station. Take a look below at our gallery and you’ll see our McKinney apartments interior and community photos. When you live at Davis at the Square, you will experience first-hand all the experiences that McKinney, Texas is famous for. Our Downtown apartments are central to our historical past as well as our vibrant arts and cultural scene. Living downtown you’ll have your finger on the pulse of what makes McKinney so special and sets it apart from all of the rest. Life downtown boasts one of the most convenient locations for shopping, exclusive dining experiences, and several of McKinney's beautiful parks and green spaces. You’ll able to take advantage of world-class performances at the McKinney Performing Arts Center located at the historic Collin County Courthouse. There’s convenient access to public transportation, or if you commute to work, we’re located near the 121 and Highway 75. That means you’ll be just a short drive away from key locations for employers such as Toyota, JP Morgan, Chase, and Liberty Mutual. Davis at the Square also is close to some of the nation’s top-rated hospitals, schools and healthcare facilities. When looking for apartments in McKinney, Texas, come explore our neighborhood. You'll discover all the reasons there are to love living at Davis at the Square. We've set up a quick and easy way for you to pay your rent online so you can focus on the more important and fun things in life. Visit our Resident Portal and pay rent or input a maintenance request with a simple click of the button. Visit the portal to pay rent or make a service request. If you’re looking to explore what living in an apartment in McKinney, Texas is all about, call Davis at the Square or stop by to schedule an exclusive and personalized tour of our location today. Prepare yourself to be impressed not only with what we have to offer but also with our dedication to providing top-notch customer service for our community’s residents. Day or night, we’re available to answer all your questions. Let us help you simplify your search for a new residence. 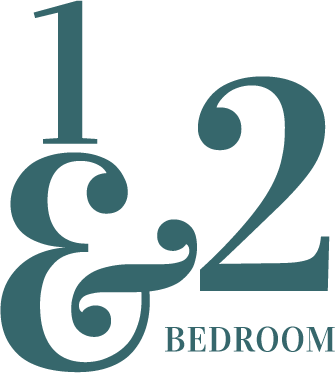 We will show you why renting an apartment in McKinney will be exactly what you’ve been looking for when you live at Davis at the Square.